Deputy Senate President, Ike Ekweremadu, has emerged Rotary Club’s Outstanding Citizen of the World 2017. Rotary International, Enugu City Centre Rotary District 9142, made the disclosure at a briefing in Enugu, yesterday. The District President, Prince Okezie Nwanjoku, said the award will be conferred on Ekweremadu on December 2. 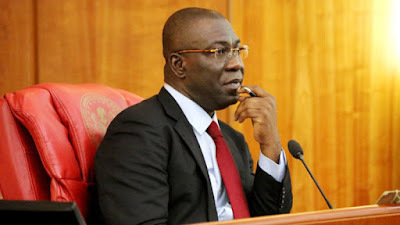 Nwanjoku said 150 people were shortlisted across the globe for the honour, adding that after a vigorous scrutiny, Senator Ekweremadu was unanimously adopted. Did you hiss considering the headline was intriguing? Lol, don't.